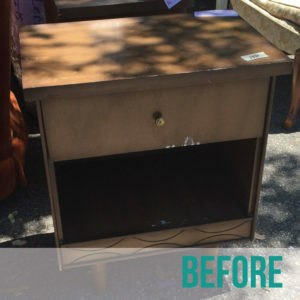 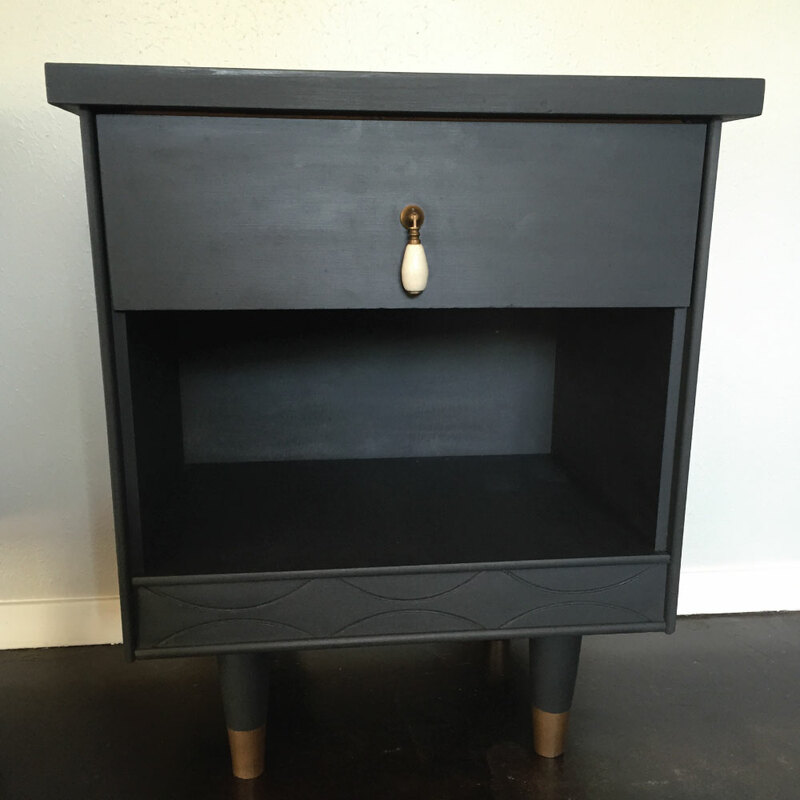 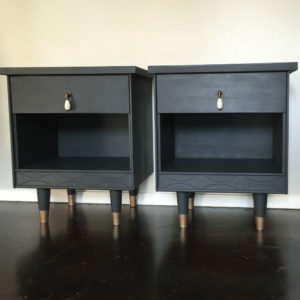 These nightstands were a find at one of my favorite thrifting spots – St. Vincent de Paul Thrift Store. 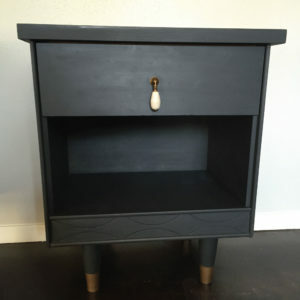 I loved the look of them, but the laminate had seen better days. 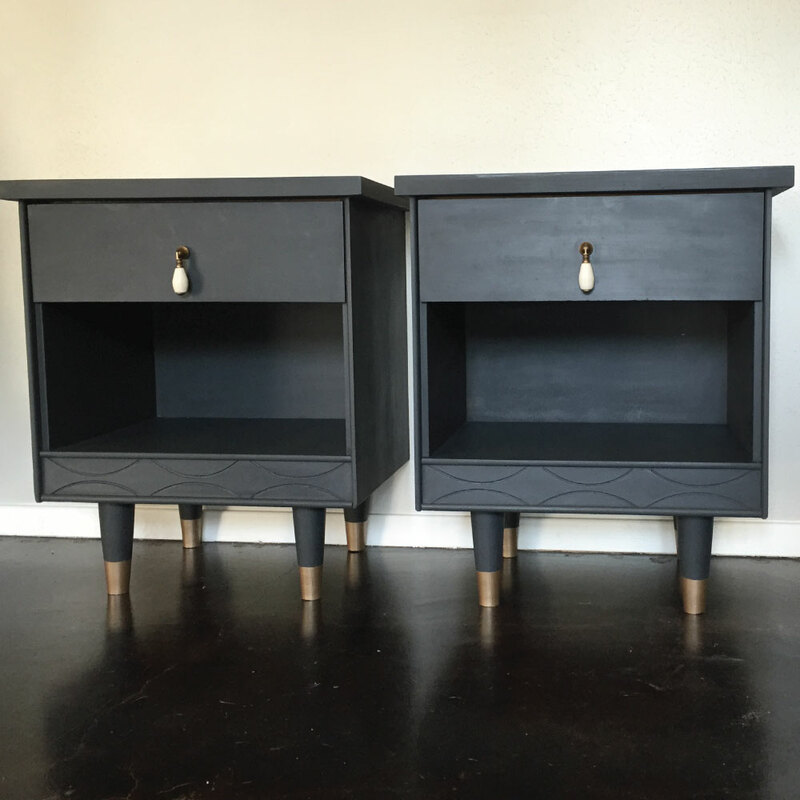 With a coat of paint, some new handles and some gold paint to create the look of capped legs, this pair is looking much more sophisticated.